He answered a few questions for Asian Books Blog. If an interviewer were allowed to ask you only one question about your collection, what question would you recommend her to ask? Why? And what would be your answer? I suppose it would be: “can a short story have the ambition, the scope, of a novel?” Many short stories take a moment in time, an epiphany or pivot in the life of a character. There is nothing at all wrong with this, but it isn’t really what I want to write. Most of the stories in The Ghost Who Bled have a broader narrative ambition to suggest whole worlds, whole lives. And I like to travel in space and time beyond my own, necessarily limited, life experience. What guided your selection of stories for this collection? Quality. The collection assembles the better stories that I have written over nearly twenty years. Half-a-dozen stories, either broadcast on radio or published in journals and magazines, did not make the final cut. This filtering was done with the help of my editor, Jim Hinks, who would send me the email equivalent of a raised eyebrow when I tried to include the unworthy few. What determined the geographical range of your stories? Three are from East or Southeast Asia. Why the semi-focus on Asia? If there is such a focus, it isn’t by design. However, the ideas for the Asian stories were triggered by my travels and reading. For instance, twelve years ago, I was involved in a conservation-themed TV series for Animal Planet, and this brought me to some of what remains of wilderness in these places. At least two of the stories in this collection developed out of my experiences. You seem interested in stories with their roots in wars and conflicts in Asia. Why? Again, I don’t think there is anything schematic going on. However, the West has been embroiled throughout my lifetime in conflicts in both West Asia, and Southeast Asia. I have a Cambodian aunt who now lives in Paris. She survived the Killing Fields, so the enormity of Pol Pot’s crimes has long haunted me. Meanwhile, the recklessness of the second Gulf War was a watershed in my political awareness. I never set out, however, to write on geopolitical themes. Had I not conceived of stories to tell that related to these events, I should never have written about them. It’s a question of mulling over what the subconscious churns up. Having said that, I do have a fairly outward or international focus. Growing up in post-imperial Britain with Belgian and French grandparents and with parents who were interested in history and the wider world, I was unlikely, perhaps, to become a parochial writer. One of your stories, The Poison Tree, is set in Malaya, as was. Your poison tree is not literally a poison tree. Why did you make your poison tree a Chinese gingko, and not a Southeast Asian poison tree? I like gingko trees. They have ancient pedigree – herbivorous dinosaurs munched their leaves in the late Cretaceous. They were cultivated in China centuries before they were introduced in Europe. The owner of the gingko tree in my story, Frank Lively, fought against ethnic-Chinese Communists in then Malaya, as did his neighbour, Roger Lively, whose sense of debt towards Frank becomes toxic to him. So, the gingko could be seen to represent Frank’s positive attitude to the "East" – his place of triumph, where Roger experienced only humiliation. The resonance is intended but it doesn’t much matter if the reader misses it. The title alludes to A Poison Tree, a poem by the English poet William Blake - my story to some degree elaborates upon its theme of the destructive consequences of suppressed anger and resentment. Why did you decide to have Frank save Roger’s life in the jungles of Malaya, as was? Why not have Frank pull Roger from the Thames, say? Then again, long after independence, Roger dies in Malaysia. Why did he not die peacefully at home in the suburbs of London? What did the Southeast Asian settings add to your story? The foundational moment in the story takes place on the Muda River in northern peninsular Malaysia. I journeyed up that river myself in 2005, into an area of jungle that had survived because it remained rebel country until the late 1980s. Hearing about the insurgency of the 1950s, and spending time on the river, put the idea for The Poison Tree into my head. Generations of Europeans found themselves tested in, to them, exotic and frightening places by the imperatives of empire. Foreign lands became the place of struggle – what the ancient Greeks called the agon, the battle with the monster, whether literal or metaphorical, external or of the mind. I needed my protagonists to be poisoned by antiquated notions of valour. It is a post-colonial story about nostalgia and its dangers. As for the ending, when the elderly Roger succumbs to smog in a Kuala Lumpur hotel, that too grew out of my own experience. The haze from forest fires in Sumatra is a well-known curse on the region and I breathed it in over three days in KL's equivalent to Silicon Valley, Cyberjaya. Thanks to palm oil, the jungles where Frank and Roger suffered are going up in smoke – and loss is another big and inescapable theme. Another story, Zero + 30, features Henry, a now middle-aged American, realising that in their youths, his Cambodian wife, Vaing, married him for pragmatic reasons – he offered her a way out of Thailand, where she’d taken refuge from the Khmer Rouge. No reader in Asia would expect Vaing’s reasons for marrying Henry to have much to do with love. Did you expect readers in the West to be taken aback by Vaing’s pragmatism? Or by Henry’s naivety? I don’t know how readers will respond to this story. The important point in the context is that Henry – the American husband of a Cambodian woman – is shaken by his discovery. As I struggled with it, Zero + 30 evolved into a story about the divergence of cultural expectations. Henry believes that redemption and retribution are possible; he believes in the possibilities of temporal justice, because he is a middle-class Westerner. For Vaing, who survived the horrors of the Khmer Rouge, such expectations are naïve. She is disturbed to find one of her persecutors living peacefully next door to a woman who risked her life to help her. She is not, however, morally shaken as Henry is, for she knows that the sun shines on the just and the unjust. Pol Pot, after all, died a natural death without ever being tried for his crimes. The interesting thing about this story, for me, is that I began it with the husband as a supporting character and Vaing as my lead. Over weeks of false starts and dead-ends I discovered the limits of my abilities, or perhaps my entitlement; for it dawned on me that I could not, with integrity, tell the story from the direct perspective of a genocide survivor. It felt like impertinence. Only when I realised that Henry’s story was more naturally open to me did I find a way forward. That may make me guilty of another cultural sin: the horror-tourist orientalism that approaches the suffering of a developing country from the viewpoint of a white Westerner. All I can say is that I tried to find the story’s truth and to serve it as best I could. The title story, The Ghost Who Bled, mingles an Asian matter-of-fact approach to the spirit world, with a Western disbelief in spirits. Agree? Disagree? 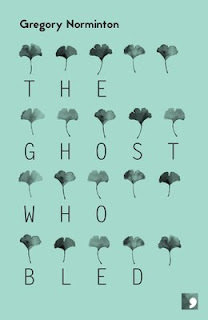 The Ghost Who Bled is a difficult story to discuss without spoilers – and spoilers can break the back of a story that depends for its final flourish on a major twist, one that has hidden in plain sight all along. Yes, I think your reading is broadly correct, insofar as I can pretend to understand Japanese attitudes towards the supernatural. We like to think we are rational in the West – which may be why we’ve come up with such horrors as the gulag and the concentration camp. Superstition is always most dangerous when it has no sense of itself. However, I may be wandering down paths beyond my purview. With The Ghost Who Bled, I wanted to write a story that only appears to belong to the supernatural. It is based, however, in the historical fact that Japanese suicide pilots in World War Two attended their own funerals before their missions. Socially, in terms of their honour, they were already dead when they climbed for the last time into their cockpits. You can see why my writer’s antennae twitched with excitement when I read this factoid. Writers’ Retreat has an Akhmeti poet having to defend his choice to write in Russian. This mirrors the situation in Asia where writers are often asked to defend writing in English. Any thoughts on that? Before it became a short story, Writer’s Retreat had a previous incarnation as a play for radio (never broadcast). I used to live in Edinburgh and was devoted to the literary festival held there every August. My play was meant to celebrate the internationalism of the Edinburgh International Book Festival, where all the world gathers to think and listen and share stories. Even so, stories from the periphery of the global village tend to be told to small audiences in the smallest venue. So, I imagined what it might be like for a poet from a “remote” country to arrive in a genteel environment, weighted down by political burdens that were invisible to his hosts. I wrote the play shortly after Russia invaded Georgia, an event which signalled the beginning of Putin’s nationalistic cant that claims all speakers of Russian for a “greater Russia”. Immediately, the parallels with Asian writers who write in English – another imperial language – become obvious. It’s not for me to get into the ethics and politics of this, except to suggest that the English language has many avatars – Indian, Irish, American, Canadian, Australian, Caribbean – all of equal validity, with shared roots but ramifying under suns of varying intensity. When readers close The Ghost Who Bled what questions do you hope linger in their minds? What other books has this guy written? Where can I buy them? And how many copies shall I get for friends? Hahahah. But other than that? What? You won’t let me end with a joke? To answer less flippantly, I hope that some of these stories resonate in the mind, that a moment or image lodges in the memory. Most of what we read leaves less than a residue, but we all have novels or stories or poems that take up mental residence, even help us orientate ourselves. That my own writing might do this for one or two other humans seems more than enough to hope for. 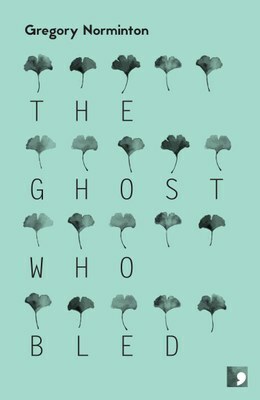 Details: The Ghost Who Bled is published in paperback and eBook, by Comma Press, priced in local currencies.